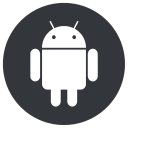 All Android related articles can be found in this section but if you can’t find a topic you are looking for you could always use the Search box. Phones and tablets in nowadays have a lot of internal memory. If you are running out of space though, there are a few quick things you can do to free up space from your Android device. Microsoft released Internet Explorer in 1995. This event initiated the browser wars. By bundling Internet Explorer with the Windows operating system. By 2002, Internet Explorer became the most dominant web browser with a market share over 95%.